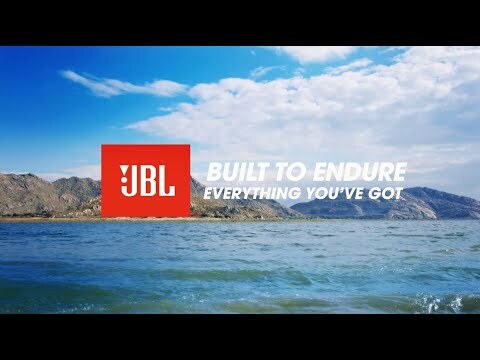 JBL Endurance DIVE is rated 2.8 out of 5 by 90. Rated 5 out of 5 by Aaron131181 from No problems! I have been using these headphones for the last 10 times swimming. I have experienced many of the negative problems that others have left reviews about. I have over come all of them. First was getting music onto the mp3 player. My files were there but the mp3 player cannot open a folder, so be sure there are none, just the music track file. Next was the touch sensor. If your hands are wet or hair, the sensor is too sensitive and you will have problems getting out to do what you want. I put then in and LOCK it before i ever get wet. Just putting in the headphones in your ear will only last a few laps before water seeps in and muffles the music down to less than a whisper. These are earbuds and are not designed to be loud or powerful, a little water does a lot to the sound. Try using different size ear cushions and put your Google band over the tops of the rear hooks top keep them in place. So far, since doing this i have not lost any sound quality. Don't take them out of your ear until you are done. If you need to talk or hear somebody, take out the left ear so the right ear doesn't shut off your mp3 player and have to dry off to get it to lock again. I have used these around the gym and still haven't recharged them yet(still at 20%). The sound quality is not the best compared to over the ear headphones. They are little earbuds that have a freaking mp3 player built into them and you can swim with them for under a hundred bucks! How awesome is that? Rated 5 out of 5 by Gregabyte from Great FIT, DESIGN, SOUND I'm happy with these! I'm listening to them as I write this! * They fit CLOSE to your head, the soft rubber loop behind my neck is laying on my skin but not tight. VERY comfortable. * The earplugs are ALSO comfortable. They block out all noise because of the tight, comfortable fit. AHHHH. *These are going to be great working out and riding my bike...THEY ARE NOT GOING TO COME OFF! I'm loving this! * The controls are easy, just after practicing for a few minutes. * Phone calls are great too. I can hear them and they can hear me. It wasn't an issue. * The sound is good! The bass is good, treble a little high. BUT...it also depends on how the song was mixed. I love bass and these things rock. * Still have to try them swimming but so far, so good. I'm not sorry I bought them and I would recommend them! Rated 5 out of 5 by javarican from Was not expecting this... I am a runner that sometimes jumps in a pool to work through injuries... not a triathlete by any means, just do it to keep in shape while working out the kinks. I have nothing to compare these headphones to, since having waterproof headphones is science fiction as far as I'm concerned... and I honestly had no idea they existed. I'll have to say I was pleasantly surprised by these headphones. I have only taken them in water a couple of times. It was seriously unnerving to get in the first time, but shortly after, you sort of forget this isn't supposed to be possible. The sound quality is amazing as with most JBL products. They are very comfortable and stay in place with no issue. It is necessary to lock the controls when they are in contact with water, but they work great otherwise. Also remember to let them dry fully before charging... That's what the manual says and I'm not going to going to test why they say it. They work great as headsets for phone calls. It was in fact one of the first things I did with them and they could understand me clearly. Thumbs up on this. Pairing them to an iOS device took longer than expected the first time, but once paired, they connect as soon as they are turned on. Another thumbs up. They have the most clever power button. A magnet on the right earpiece. When you take them off, the magnetic ends touch, turning off the headset and guaranteeing you will never remove your headphones and leave them on. Brilliant engineering! The battery life is way more than adequate. I've used them for 5 hours straight with no issues. Not really sure how long they last in real world use, but I have not killed them yet. More than adequate for marathon training! And did I mention you can dump all of your podcasts and music in and leave the phone at home? I didn't? Well, you can! Double awesome. Only negative I can point out is that they are slightly heavier than my previous Bluetooth headphones, the JBL Flex. You carry the weight on your ear rather than the neck, which I imagine can bother some people. They are not uncomfortable, but worth pointing out. 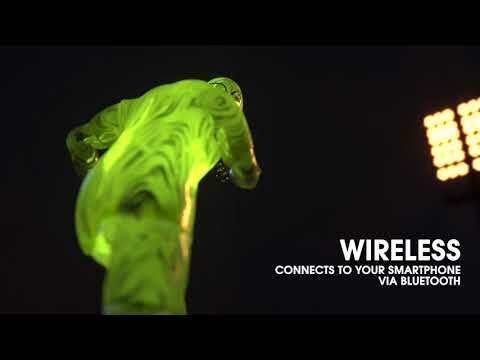 However, when was the last time you ran with your Bluetooth headphones in the pouring rain? You haven't because you don't have waterproof headphones :) All in all, these headphones were a pleasant surprise and have become my main pair. The controls are super simple, great sound quality and I can use them in any weather condition. Great job on these JBL! Rated 5 out of 5 by jbarnr from Impressive packaging, great quality product I was impressed from the packaging to the product itself - the packaging is very thought out, solid, and easy to open (catches the eye as well) - kudos to JBL for caring! That being said the headphones themselves surprised me with clarity and decent sound despite being small as they are. I haven't had them terribly long but from the feel of them I would confidently say I think they will hold up pretty well. When it is not so chilly in Florida I will definitely be using them in my pool - for now I use them on runs and in the gym which is nice to not have bulky headphones on my head. Rated 5 out of 5 by AZmille from Comfort and stability I have recently completed a handful of workouts with these headphones. Upon arriving at the gym and realizing that I have yet to pair these headphones to my phone had me a little concerned. I threw these on my head and tapped the right head phone to be greeted by a chime then opened up my Bluetooth settings on my phone and these where ready and waiting for me to pair. This process took under two minutes. It was so smooth. I had perforated my ear drum earlier in the year and have since been sensitive to any earbuds. I was pleasantly surprised at the comfort that these headphones provided. I did not have any discomfort or pains associated with these headphones and any pressure that they may have created while wearing these. In addition to the comfort of these headphones in my ear there was NO frustration of the cord moving and pulling the headphones out of my ears. I have had other headphones that distract me from my workout due to constantly having to re-situate my headphones. I found myself disappointed to realize that I had left these in my other vehicle and was going to have to workout without these headphones. These will be a mainstay in my gymbag! Hello! The Endurance Dive supports the mp3 format and for you to add music files to the earphones, here is what you have do:&nbsp; 1. Place the relevant music MP3 files on your computer, where you can find them again.&nbsp; 2. Connect the Dive to your computer with the USB cable. Please use the cable that came with the headphones, since other USB cables may be wired for charging only, and will not work.&nbsp; 3. Your Dive will now pop up in your explorer folder overview as a new drive. Total capacity is about 991 MB.&nbsp; 4. Now you simply drag-and-drop the MP3 files from their location onto the Dive, or you mark the files, copy them and paste them onto the Dive. Do not use folders of any kind, and do not try to place other file types on the Dive's memory. MP3 files with a resolution of 320 kbits/second is maximum quality possible. How do you voice dial? The JBL ENDRURANCE DIVE does not have a voice dial feature. 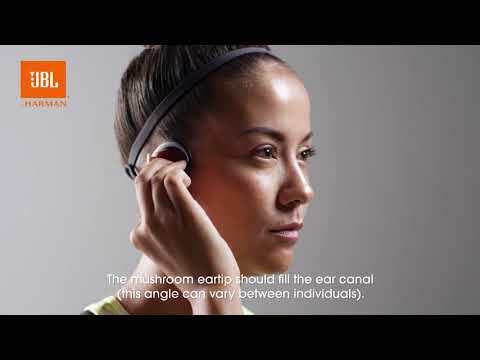 You can only answer and disconnect phone calls if the headphones is paired with your mobile phone by tapping once on the JBL logo on the right earpiece.